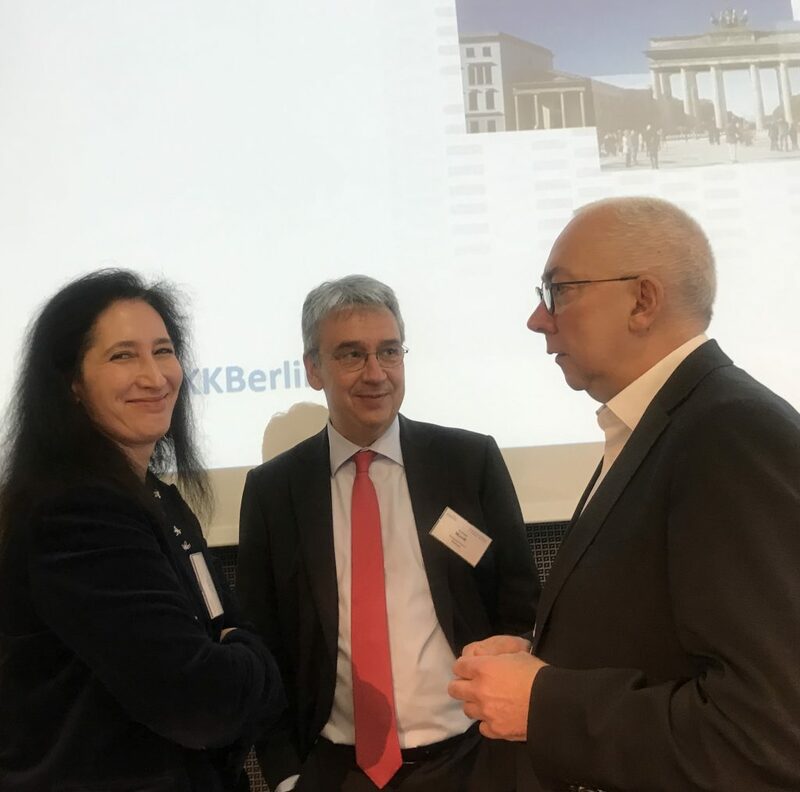 Every two years the competition community meets in Berlin upon invitation by the Bundeskartellamt. 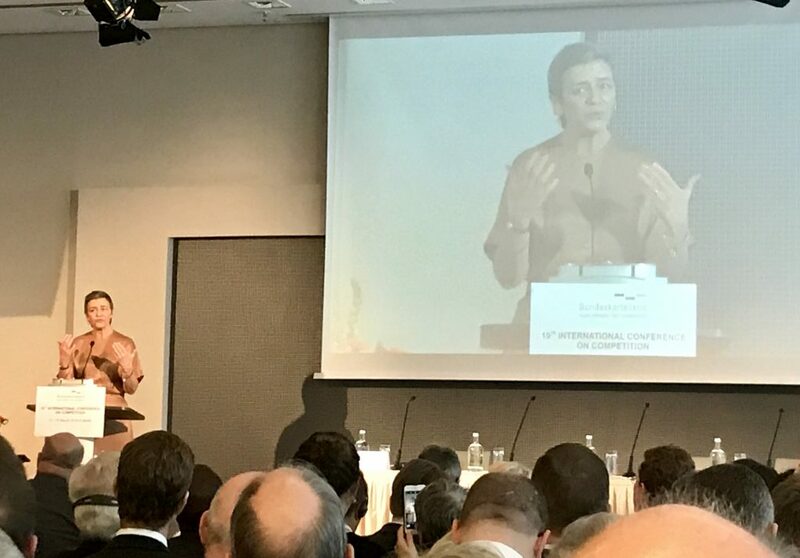 This year, the stage was set for good entertainment: Peter Altmaier, the German Minister for Economic Affairs with a taste for industrial policy, was to face Andreas Mundt and Margrethe Vestager, both of them global champions of enforcement. Yet, as Rupprecht Podszun found out, two other speakers stole the headlines. Here is his Conference Debriefing! Name of Conference: 19th International Competition Conference, known as “IKK” for its German acronym. Location: ewerk, Berlin, a legendary techno music club turned into an event venue. Andreas Mundt spoke so knowledgeably about the times of techno there that you wondered what he was actually doing from 1993 to 1997 when ewerk was the Berlin place to go. Let’s check… oh, at the time, he was based in not-so-techno-prone Bonn and worked for the liberal party in Parliament. Okay, maybe Mundt’s love affair with techno is more about GAFA than about DJing. 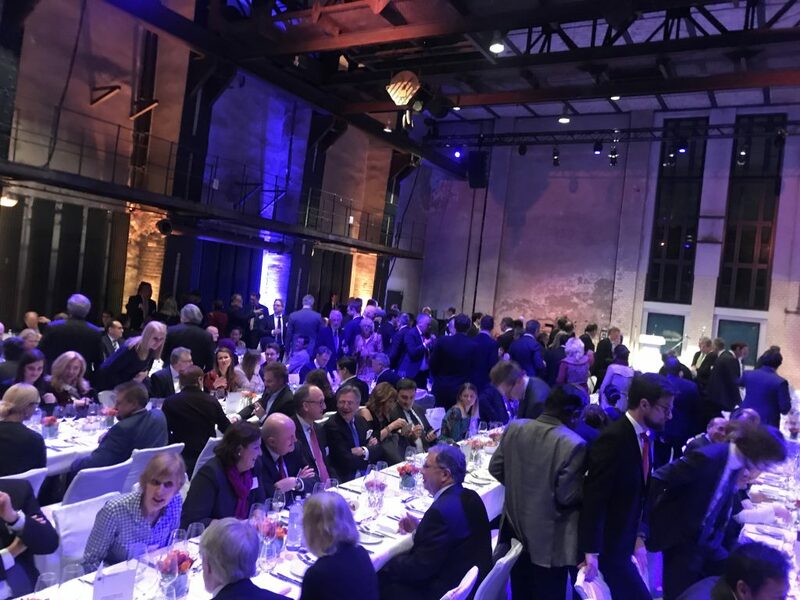 (Actually, the conference was held in a boring cookie-cutter conference hall in a hotel, but the dinner took place at ewerk, and it was the more inspiring location). Host: The Bundeskartellamt with President Andreas Mundt and his deputy Konrad Ost. Audience: 400 people from 60 jurisdictions (with one jurisdiction slightly overrepresented – Germany). 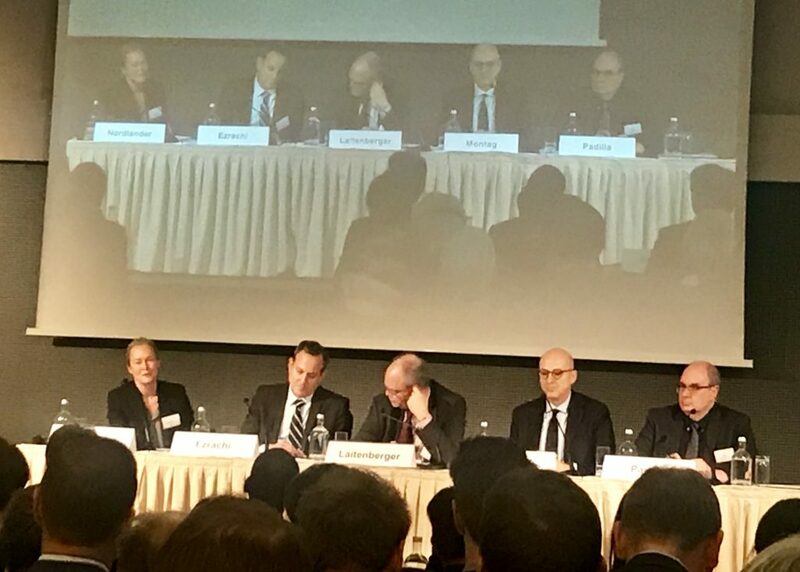 The room was packed, and at one point I saw the Bundeskartellamt’s Chief Legal Counsel Jörg Nothdurft, Clifford’s Thomas Vinje, Berlin competition enforcer Elke Zeise and Fipra’s David Lawsky standing in the back for lack of chairs… you get the idea, I suppose. So who stole the headlines? That sounds interesting! Keep calm and follow protocol, please. It is not an everyday occurrence that the German minister, a close ally of Angela Merkel, addresses this audience – and in times like these. Altmaier and his French colleague Bruno Le Maire, as you know, proposed a political exemption for national and European champions in EU merger control and in general want to pursue a more active industrial policy. Competition people break out in a rash if they hear the words only. 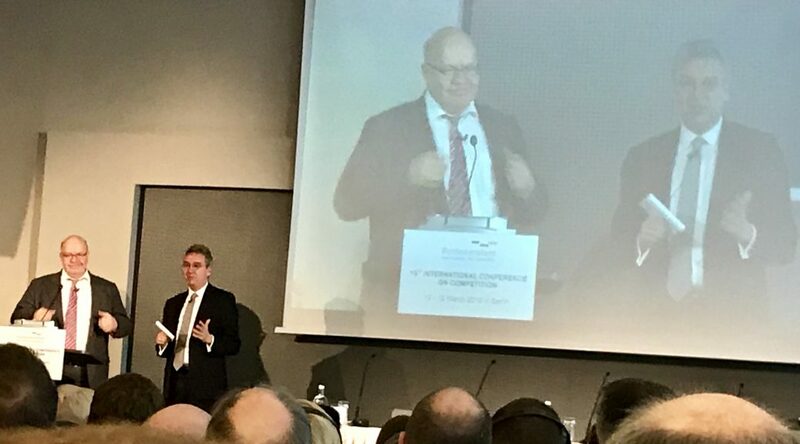 Andreas Mundt set the stage with welcoming Peter Altmaier to “the lion’s den”, reminding the audience that competition on the merits is the lifeblood of the market economy and that national and European champions may only come at the cost of less choice and higher prices for the consumers at home. You have come this far? You have to state such banalities at a competition conference? Peter Altmaier got the message. He called Margrethe Vestager “one of my favourite Commissioners in Brussels”, he charmed us all by saying that competition enforcement is not for the faint-hearted (actually, what he said was that it is not “vergnügungssteuerpflichtig”, but I cannot possibly translate this very-dery German term to English). His paper on industrial policy, well, that was just “to spark a debate”. And the European exemption for champions? “Not my idea”, he said, very much on the retreat. Wow, let’s see how he explains this to the French. But what was all that about then? He certainly has a story to tell, and my impression is that many in the room actually bought that story: Our companies, and maybe the country, made huge mistakes twenty or thirty years ago when missing the Siemens/Alstom-train to the digital age. Now, others outdo the Europeans, and for us, the question is on the table how to preserve our standing and our system. He is also convinced that this means, for the years to come, to help the more traditional German industries on different levels. I guess Margrethe Vestager gave him a good beating for such protectionism? She is an elegant lady, you know. “We need an industrial policy that plays on our strengths and benefits the whole economic ecosystem”, that is what she said, after setting out that this ecosystem is diverse and mainly composed of small- and medium-sized enterprises. 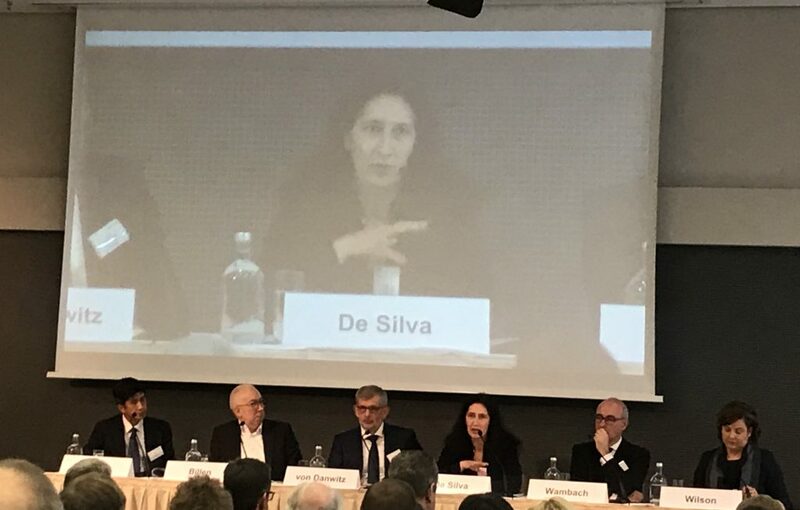 Let’s get the single market right, let’s invest in skills, in physical and digital infrastructure and let’s have a level playing field for EU companies by international procurement instruments and a better screening of foreign investment (“reciprocity”). Please allow me to quote two more sentences from her speech. Indeed. Yet, nothing to grab headlines. I was really sorry for the correspondents of MLex and the like who had to wring her manuscript three or four times to find anything noteworthy. So, if Altmaier and Vestager did not make the headlines, who did? Daniel Ek. He is the founder and CEO of Spotify, that music app like-no-other. Spotify is not that unique. It is a music streaming app?! Yes, but it is from Sweden. S-w-e-d-e-n! That is Europe! It is a European success story in the digital age, and there are not many of these. Ek was asked to give the traditional business keynote, and Andreas Mundt, that techno guru, had glowing eyes, I think. Hadn’t Spotify just complained a day before to the Commission that Apple was abusing its dominant position with the Spotify app on iPhones? Exactly. What a timing! And Ek was spotifantastic! He delivered a to the point-talk of why the Commission has to prohibit Apple’s practices on the grounds of the Google decisions. 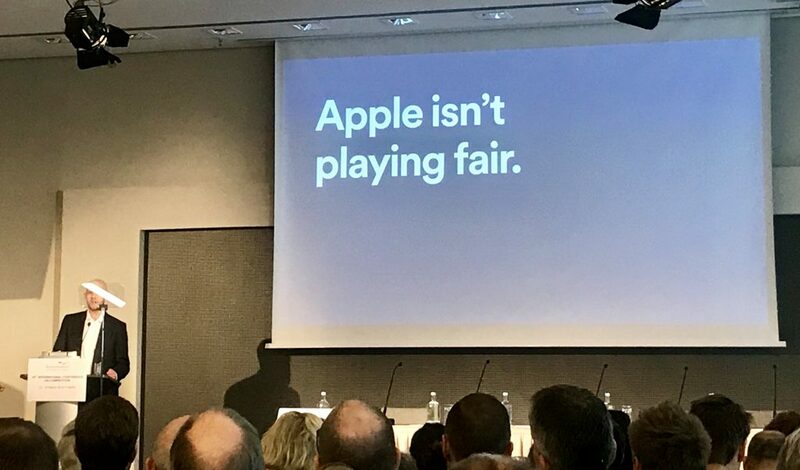 It is outrageous what Apple does, it comes down to putting a 30 % tax on the internet, Apple discriminates against other companies, it is a ruthless exploiter of dependent apps, also in payments, and Spotify cannot even take care of users in an appropriate way. Errr… that is what he told you? Yes, the Commissioner herself, her team and half of the Bundeskartellamt listened closely. Probably that saves them some time in the coming months when all this will be on the desk again. Vestager even tweeted a message that could be read as supportive. If a judge had done that, I would file for disqualification if I was Apple, but Apple… well, did not have a say on this platform. It was a really interesting presentation with a deep insight into business models in digital ecosystems. Presenting his case: Daniel Ek. You said there was a second breath-taking presentation. There was. But there were also moments where I was holding my breath only since the room was over-heated, and not for controversy on the panel. The panels had enormous potential and manpower (and very much manpower, actually), yet sometimes the potential was not used to the full. Okay, so do not give me the full story, please. Some highlights? I was struck when Lord Andrew Tyrie, Chairman of the British CMA, said that the current framework for controlling competition is insufficient, quoting the new Furman Report. Wow, I thought, now even the Brits call for more enforcement and a “rebooting” (!) of competition law to make it quicker and more effective. Maurice Stucke and Ariel Ezrachi, the power couple of antitrust bestsellers, were on the panels, gurus of tougher enforcement. Maurice pointed to the current college admission scandal where the rich bought their children into top universities. This probably tells something about fear and pressure felt in Western societies. A sad story, but an illustration of a system gone wrong. Or, in the words of U.S. antitrust rockstar on a world tour, Bill Kovacic: “The system does benefit the few, at the expense of the many.” Director General Johannes Laitenberger echoed this when saying: “Do we still have a market economy or the economics of power?” – Marktwirtschaft or Machtwirtschaft in German. You must have been depressed with all this gloomy talk. 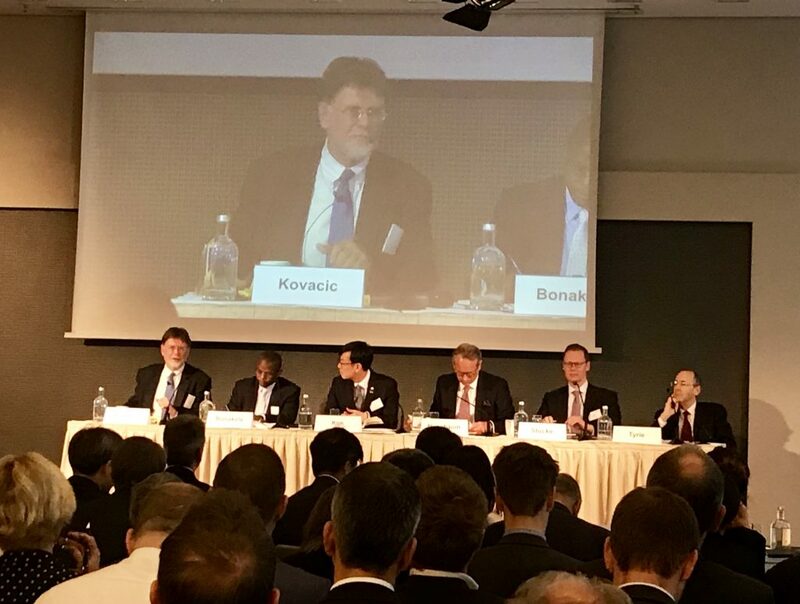 The panel chaired by Bill Kovacic with Tembinkosi Bonakele, Sang-Jo Kim, Ulrich Nussbaum, Maurice Stucke and Andrew Tyrie (from left to right). Panel chaired by Kristina Nordlander with Ariel Ezrachi, Johannes Laitenberger, Frank Montag and Jorge Padilla (from left to right). Did no one slaughter the Bundeskartellamt for the Facebook decision? This is what I would have expected. Great you mention that. The contrary is the case. The panel on consumer and data protection in competition law made me gasp: The very distinguished Judge Thomas von Danwitz from the European Court of Justice, well known in Germany for a ruling against data retention, read out a statement that was like accolades for the Bundeskartellamt. Impressive! Not least for the reference to the independence of judges that needs to be preserved in Europe. Starting from there, he delivered a blueprint for looking into privacy cases with a competition angle under Article 102 TFEU. The Facebook case was dealt with under German law, right? Exactly. But von Danwitz left no doubt that such a case with unfair terms with a lack of choice for users and inadequate consent falls neatly into the line of cases like Sabam, AstraZeneca, Der Grüne Punkt or Allianz Hungaria. He also made it clear that these cases are not just about competition, but about curiosity, creativity, personal freedom. It is a wide understanding of the goals of competition, as he said, but it also seems to be a very modern understanding of how digital ecosystems operate. Von Danwitz’s clear-cut statement overshadowed that there were many other compelling statements in that panel, from Isabelle de Silva on the French online advertising sector inquiry to German Secretary of State Gerd Billen’s forceful statement on citizen’s rights, from FTC Commissioner Christine Wilson’s long list of cases where the U.S. acts on privacy matters to Compass Lexecon’s Jorge Padilla’s questioning of studies on the privacy paradox. The Panel chaired by Han Li Toh with Gerd Billen, Thomas von Danwitz, Isabelle de Silva, Achim Wambach and Christine Wilson (from left to right). May I take it that the final panel on leniency was less high-flying? It was more down to earth. Well, for some. Covington’s Johan Ysewyn claimed that academics live on another planet, not on earth. This was my impression, actually! Rightly so, as my Düsseldorf colleague Christian Kersting confirmed intervening from the floor. I cannot really report on this since I had already made my way to the climate change kids who are not in school on Fridays in order to save that planet Ysewyn lives on. 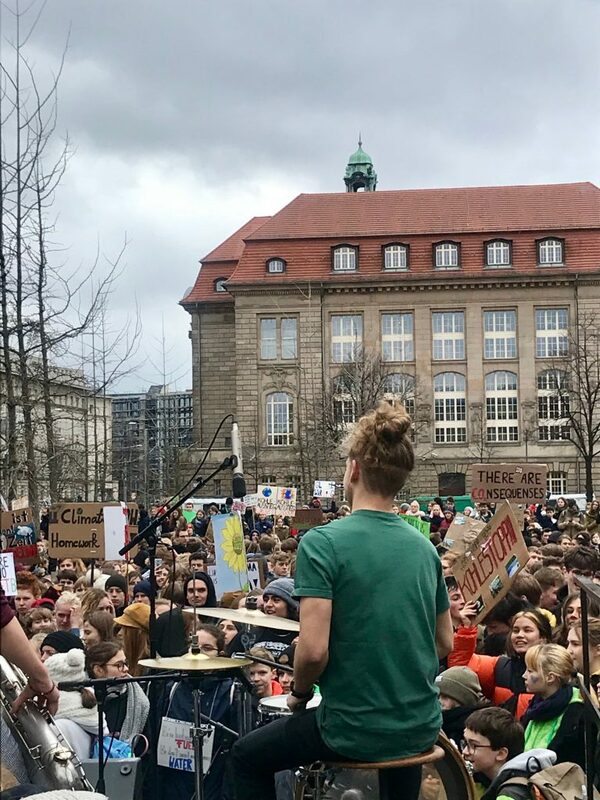 Their noisy protests were taking place just next to the Ministry of Economics where Mr. Altmaier’s people were probably trying to save the world as they know it… On substance, the point with leniency is that damage claims could reduce the willingness of leniency applicants to blow the whistle. Yet, as Christian points out you could always hold the leniency applicants liable to the victims of the cartel but give them the right to claim full recovery from their co-infringers. That building in the back is the German Ministry of Economics. And these people in the front are trying to save the world. Probably would make good competition lawyers. That was #thursdayandfridayforfuture, it seems. Three things stand out: Firstly, there will be a reform of competition law, and if you have good ideas on the shelf put them into your window now. Secondly, competition law is placed into the public debate on the European model, on European values. It has become a political affair with all the good and bad sides to that. And thirdly, enforcement will carry on. Make no mistake. This was not a conference about what’s happening next week in your case. And I am not sure that enforcers in Bonn or Brussels will easily come up with disruptive interpretations of the rules. Isabelle de Silva, Andreas Mundt and Gerd Billen. 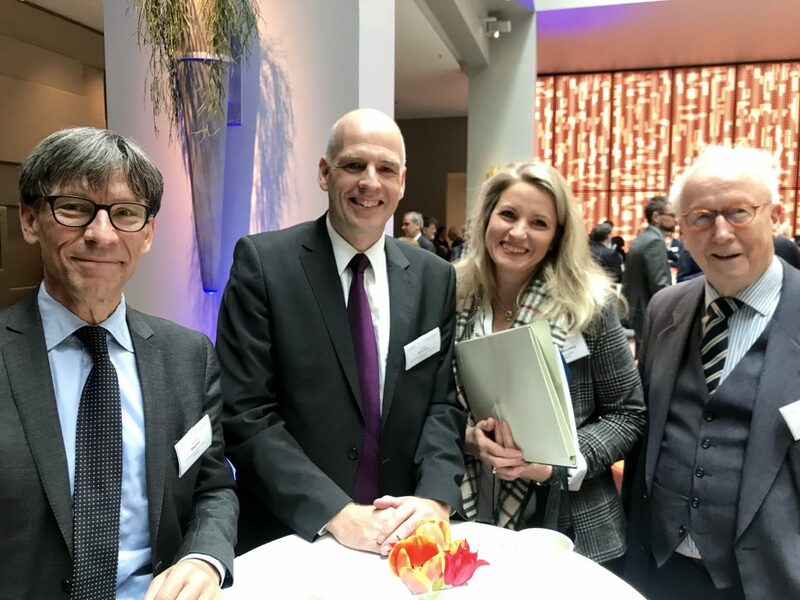 Bundeskartellamt’s Katharina Plath with three heroes of German civil law: Gerhard Wagner, Christian Kersting and Karsten Schmidt. Nice location for grabbing food and excessive partying: ewerk. PS: A few typos were corrected after publication, two links added.